I am Mrs. Vijayalakshmi, a retired Principal,World Bank Consultant and the managing trustee of SAHAJA Charitable Trust (NGO) Bangalore. 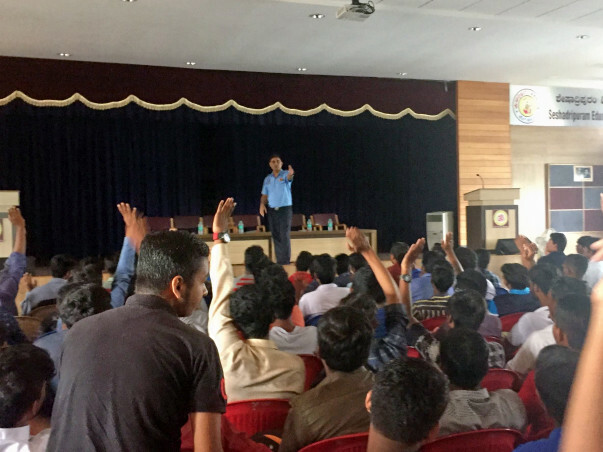 We have launched a unique project “Indian Armed Forces Selection Training Program for the Economically Weaker Youth Force (Male only) Rural Districts Bangalore North.’ To weaken the current burning challenges – Poverty, Education & Employment opportunities to the needy. VISION > The problems of poverty, illiteracy, unemployment, dependency, disease, social inequalities are inter connected. One problem leads to the other and feeds on another.This interconnected nature of the problems neither starts nor stops with the people who are poor, it affects all of us. Therefore the solutions to these problems must be interconnected, just like the problems themselves. MISSION- To recover both socio and economic life of youth stuck with poverty and other related problem- in a holistic manner, we have engineered an exceptional training program for the energetic youth force with cutting edge solutions of non-recurring nature. with success goal focused training to access secured dignified employment by joining the Armed Forces of India as soldier. Youth realization of their fullest potential: strengthen youth force and the Nation. The youth, unable to meet the economic challenges starve for secured life for self and dependents. The lack of awareness of the opportunities make the energetic youth force to stay stagnant, suffocate and ignorant of progress. Based on these ground realities, we have sculptured a unique training program to empower the deserving youth force to with education, employment zone and drive away the fear of insecurity and poverty in life. joining the Indian Armed Forces. and un-informed of opportunities for better life shall see the brighter purposeful life. 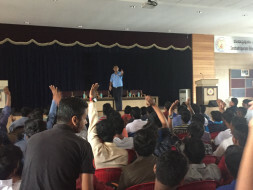 The periodic and multi mass selections by rallies & the central selection board at national and state level by the Indian Army and Air force, facilitate large number selections and more opportunities for the competent youth of 17 -21 years age to join Armed forces with multiple attempts and multiple trades thus, the poverty is diluted in times. To increase the contribution of Karnataka state’ Man power to the Indian Defense. Thus, there comes a concrete phase when the age old piled up dusts of poverty etc..Sure to be sweep away in due course of time. Nation need soldier! Feeding hunger is every day act whereas; training the youth for Nation is life time feed. We are writing to you for your good support to our project-we hope and wish that you would be part of my journey with your good donation contribution.Your donation will go towards construction of rural India free from poverty,and other challenges, also promote National consciousness among Indian youth force. TARGET GROUP: Male- in the age group of 17-21 years. Bangalore north rural. VENUE OF TRAINING: Government PU College grounds Yelahanka, Bangalore. Baseline survey and a preparatory phase for initial orientation are ongoing presently. The Officer addressed well, motivated the youth force with good career guidance. The enthusiastic youth aspirants registered with SAHAJA for Armed force training in 600 number. Batches are made with 150 trainees each for better quality control. Our Training is sturdily focused on selection criteria of Armed Forces Career. The curriculum is as per Indian Defense- defined physical and academic syllabus. Physical and academically empowerment to appear for Armed forces selections. Abilities for the adaptive and positive behavior to deal effectively with the demand and changes of life’.-LIFE SKILLS TRAINING- W-H-O. Increased cohesiveness and improved group dynamic. Periodical Evaluation both by the internal and external evaluators is carried to ensure no failures left behind. Statistical Reports shall be maintained and presented to the donors. An end line research survey will be done to find out the impact of the project. Case studies and success stories will be highlighted and discussed in presentations. The data of the selected trainees from the camp be maintained and reported to all concerned. The H.R. team at SAHAJA shall maintain all trainees until selected. The periodic and multi-mass selections by the Indian Army and Airforce, facilitate large number selections and more opportunities for the competent youth of 17 -21 years age to join Armed forces with multiple attempts and multiple trades. The training program will see the involvement of various stake holders which will include the community donors, Government systems. Knowledge gained is eternal and empower the gained, lifetime. BUDGET FOR EACH BATCH OF 150 TRAINEES- is estimated at Rs. 25 lacs/. 80g of INCOME TAX- DIT(E)BLR/80G/I-259/AAGTS2819F/ITO9(E)- 3/VOL -2013-2014. APPLICABLE. A detailed break up along with project content with duly required documents shall be presented in person or mail on your good consent. We earnestly look forward to your good support as sponsor/donor under CSR / Board of Director’s decision. Looking forward to hearing eagerly, On behalf of the beneficiaries, Sahaja trust we thank you profusely. With a hope of better tomorrow for the needy poorer youth force, kindly join us to make India better. We thank you in advance for your good contribution.